An adorable image of three little birds on a holly strewn Christmas bell. It would be great for countless holiday designs. It’s an antique image from the late 1800s. 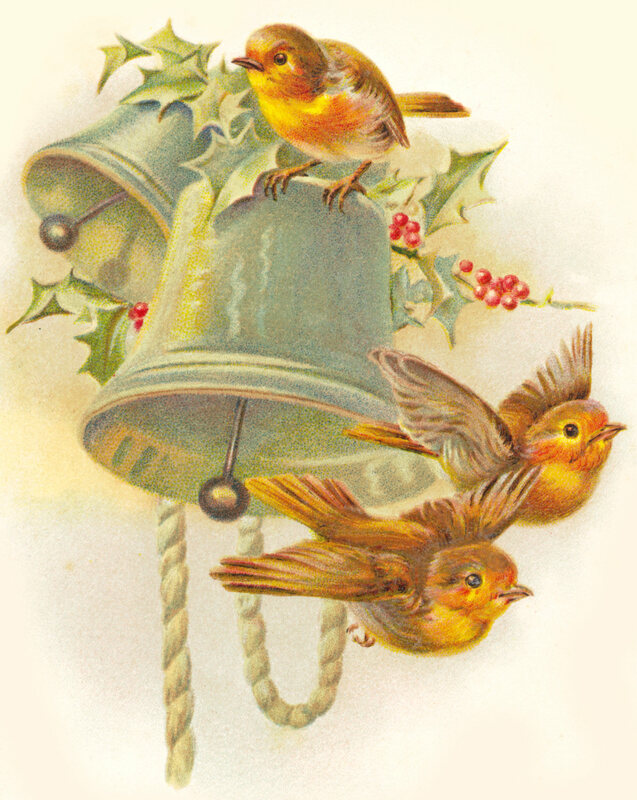 This entry was posted in Birds, Christmas Graphics and tagged antique image, Bird graphics, free clipart, free graphics, Free Vintage Birds on Bell Christmas Clipart on November 1, 2014 by ClipArtPlace.